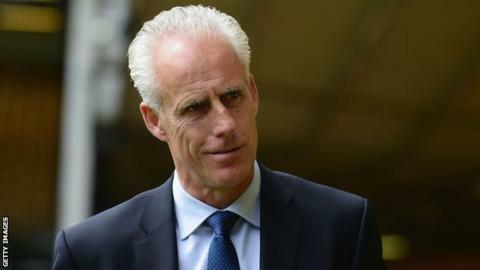 Ipswich Town boss Mick McCarthy says pre-season is far more regimented now than when he was a player. The 56 year-old former Republic of Ireland international made over 500 appearances during his career. "I'd say we used to come back in worse shape than the players do now. We seemed to get longer off," he told BBC Radio Suffolk. "We didn't all get a programme, it was a bit ad-hoc. You went for a run, played five-a-side and went swimming." McCarthy, who led the Blues to the Championship play-off semi-finals last season, added: "Our lads have a scientifically proven programme though, and they all come back far better off. "I think we spent the first few weeks getting back into some kind of shape when we came back!" "I do enjoy travelling. A lot of my travelling has been done within football and you don't get to see a great deal. You go and see the stadium, hotel, and training ground, but I've got a great passport with stamps from everywhere! "I'm not really a tourist during the summer season. I'm generally shattered and ready for a break. I play a bit of golf, I cycle on my bike and I enjoy the sunshine. I like to relax. "I read when I'm on holiday, and it's about the only time I do! I picked up a couple of thrillers coming through the airport this time, and read them both. I'm generally more active than that though." "I met (1974 World Cup winning Germany captain) Franz Beckenbauer at a function for a Player of the Year event in Ireland. "Some people say 'don't meet your heroes' as you'll be disappointed, but I wasn't. "He knew about us and about football in Ireland. He was a gentleman. He was the most stylish, cultured, wonderfully gifted centre-half. "I played up against (former Holland and AC Milan midfielder) Ruud Gullit at the European Championships in 1988. He was big, powerful, quick, and with such a great touch. He had everything. "I thought, 'if they ever throw the ball in the air I'll beat him in the air'. I jumped behind him and went to head it, and he actually brought it down on his chest. "I thought, 'I'm in for a tough day here'. He was all round the best." "(Former Republic of Ireland international) Paul McGrath played in midfield at the 1990 World Cup in Italy. He's a centre-half normally, and he got voted into a World Cup XI! "He was big and powerful, had a great touch, was very quick and read the game well. "But he was so humble. He didn't know how good he was. He had bad knees as well, but he used to just turn up and was unbelievable." "An agent rang me up. I said 'You know the rules, if you want to speak to me, ring Marcus Evans. If it's anyone that's interested in me, speak to my owner.' He just asked me what my position was, so I told him and I've not heard anything since! "I love where I am and I love the job I'm doing. "If Manchester United come and ask me then I'm going to be interested, and I'm not going to tell lies about that, but they're not interested!" "I'm delighted with them. The one bit of business we did was Tyrone Mings leaving, and of course that was bitter sweet because we've lost a really good left-back and a great lad. But we signed two lads in the deal as well. "Brett Pittman is a proper finisher and Ryan Fraser could be anything. He's exciting everyone. "Daryl Murphy wants to stay, he loves it here and I think we'll have him at the start of the season. "I feel we have helped nurture his career and I think he enjoys it here. He's got the number 9 on his back, he's got good mates here, and I think his family's settled. He loves the club and the feeling's mutual." Mick McCarthy was speaking to BBC Radio Suffolk's Brenner Woolley.